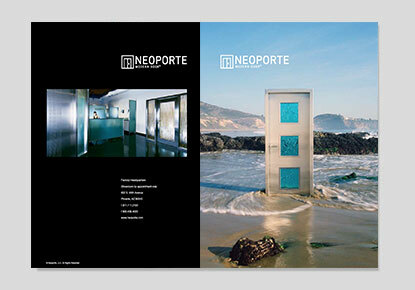 If you are looking for a truly unique and modern door look no further than Neoporte. Priority is only one of a few dealers in the state that have Neoporte doors on display in our showroom. Neoporte door systems are engineered to meet and exceed today’s energy efficiency standards. That makes good sense for your wallet and good sense for the environment. If your home needs the security, performance, and design that only Neoporte offers visit our showroom to experience one today. Neoporte Modern Door has been the industry leading manufacturer for modern steel doors since 2001. Whether you are building your dream home, remodeling, or just replacing an existing door, think Neoporte Modern Door to distinguish your home from the ordinary. All Neoporte Modern Door systems are made in the USA by the finest craftsmen in the industry in our state-of-the-art facility located in Phoenix, AZ. Neoporte modern doors are the pinnacle of design and performance. Engineered for uncompromised quality. Manufactured with unparalleled attention to detail. 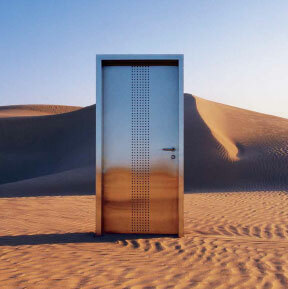 An extraordinary entrance deserves an extraordinary door. Make a lasting impression with Neoporte. Neoporte Modern Door is the industry leading supplier of modern, steel entry doors systems. Neoporte provides architects, designers, builders, and homeowners solutions for modern steel doors and turn-key entry systems. At Neoporte, we don’t believe in cutting corners. And certainly not when it comes to energy efficiency. Our design philosophy at Neoporte Modern Door is simple – trees look better in the forest. We use steel for our door systems because of its high recycled content, durability, long service life, and the fact that it’s 100% recyclable. And we think it makes for some very cool doors too. While others labor away at maintaining their warped, sun-damaged door, your Neoporte door system will gracefully stand the test of time. Neoporte door systems are 100% handcrafted in our state-of-the-art 40,000 square-foot manufacturing facility by the finest craftsmen in the industry. Click here to download a Neoporte brochure for more information.